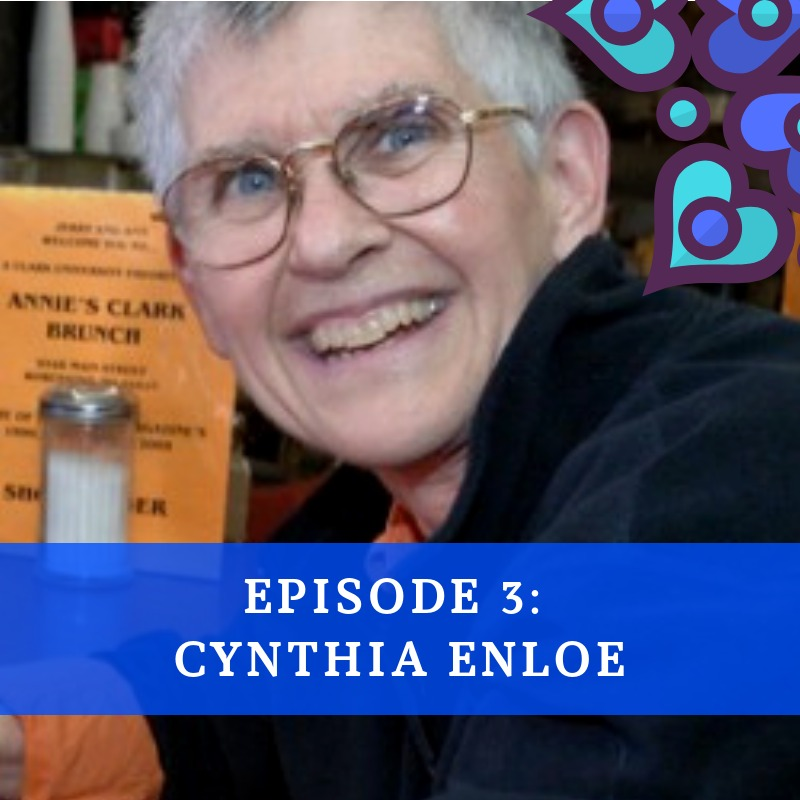 In this episode, Vaishnavi speaks to Cynthia Enloe. Cynthia Enloe grew up outside New York City, studied in California and in Malaysia, and now teaches at Clark University in Massachusetts. 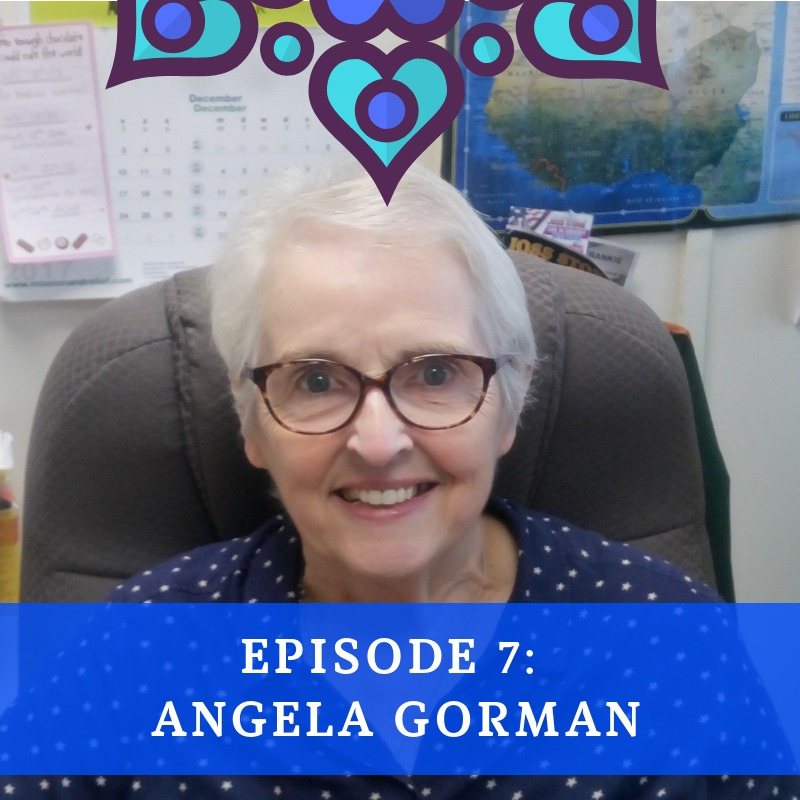 Cynthia's teaching and writing explore diverse women's and girls' lives in wartime and recovering from war, but also inside globalized factories, doing paid domestic work and on agricultural plantations. Cynthia tries to shed a bright light on the unjust local and international workings of both patriarchy and militarism. Among her most recent books are "Seriously: Investigating Crashes and Crises as if Women Mattered" (2010), a new updated edition of "Bananas, Beaches and Bases" (2014), and "The Big Push: Exposing and Challenging Persistent Patriarchy" (2017). Asha Kowtal is the President of the All India Dalit Mahila Adhikar Manch. She speaks to Vaishnavi and Kirthi about her work, activism, and journey. 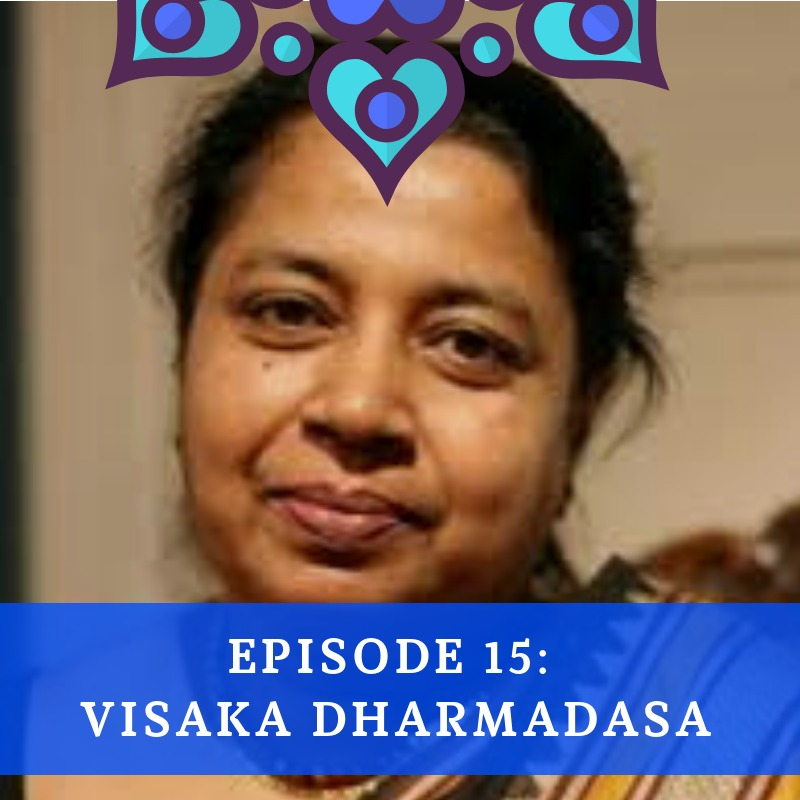 Visaka Dharmadasa, is a peace activist from Sri Lanka.In recognition of her work for peace, Visaka was nominated for a collective Nobel Peace Prize in 2005 as part of the 1000 Peace Women Across the Globe and was awarded the prestigious Humanitarian Award in 2006 by Inter Action of Washington. She is a member of the South Asia Small Arms network, Women Waging Peace, and sits on the global advisory council of Women Thrive World Wide.She also work on disseminating the content of UN resolution 1325 on women peace and security, calling for the inclusion of women at all levels of peace building and decision making., She trains women to run to political office and also on power sharing. She was awarded the prestigious Humanitarian award for 2006 by the Inter Action of Washington DC an NGO consortium comprises of 160 non governmental organizations. In coordination with the “1000 Peace women across the globe” movement, she was nominated for a collective Nobel Peace Prize in 2005. She is a network member of Inclusive Security Women Waging Peace, and a member of the expert pool of Resolution to Act, as well of the global advisory council of Women thrive World Wide, a member of Global Network of Women Peace builders and governing council of National Peace Council of Sri Lanka. Visaka Dharmadasa holds a degree in negotiations and mediation skills from the United States Institute for Peace, Washington, and in women and security from Harvard University, Cambridge, USA. 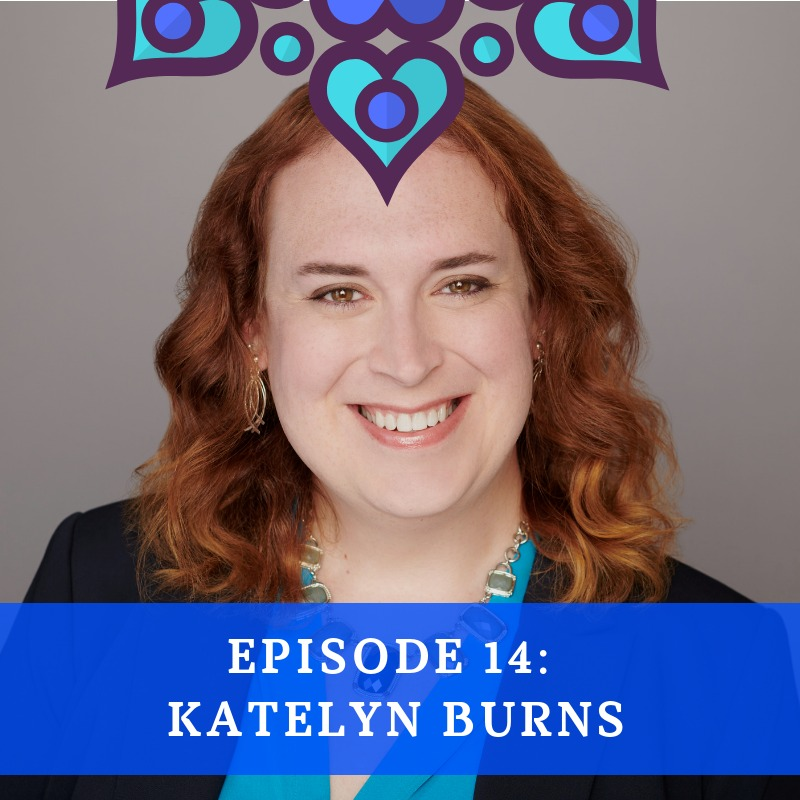 In this episode, Kirthi and Vaishnavi talk to Katelyn Burns, who is the federal policy reporter for Rewire.News, where she covers the U.S. Congress including legislation and federal policy issues. Previously, she was a freelance journalist covering breaking transgender news for them.us as well as bylines for the Washington Post, VICE, the Establishment, Allure, and many others. Katelyn was also a reporting fellow for Everyday Feminism, writing a series on toxic call-out culture in online activist spaces in addition to a series on the trials and tribulations faced by trans people in accessing employment. She is a parent and is based in Washington, D.C. I Rise. For you. For me. For all of us. 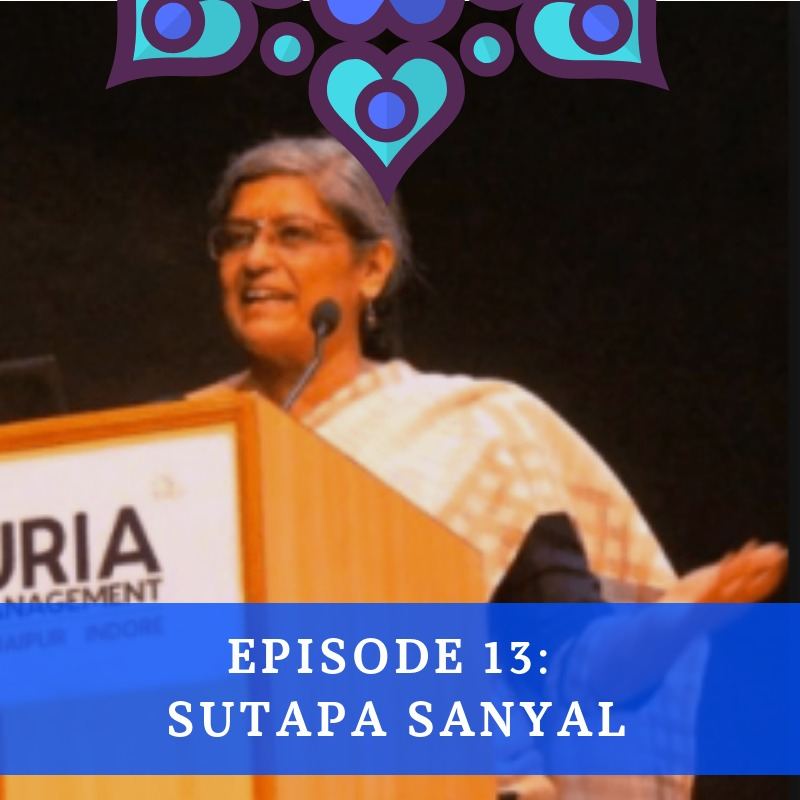 In this episode, Vaishnavi and Kirthi talk to Sutapa Sanyal, a Speaker, Independent Advisor and Expert on Women Empowerment, Women in Leadership, Diversity & Inclusion, Gender & Child Rights. She served for 33 years in the Indian Police Service (IPS) and was the first woman Director General of Police in Uttar Pradesh. For her service, she was awarded the President's Police Medal.Ms. Sanyal has delivered talks and lectures at various institutions including London School of Economics, INTERPOL, India Today Forum, FICCI, PHDCC, IIM and TISS. She has been awarded the Hindustan Times International Women's Day Award, the FICCI-FLO Outstanding Police Women Award and Women Economic Forum's Iconic Woman Award. She has been recognized by the British High Commission as a gender expert and an “Indian women leader.” She was also the only Indian invited to address the INTERPOL Specialists Group on the Protection of Children in France. Her work for women and child empowerment has won commendation from the Govt. of India, the Govt. of UK, INTERPOL, the US Department of State and has been featured in international as well as national media. Kamla Bhasin was born in 1946 and grew up in Rajasthan, India. She studied Sociology of Development at Muenster University in West Germany. From 1972-1975, she was the Development Secretary of Seva Mandir in Udaipur, India. Seva Mandir is a non-government organization working with the poorer segments of the population in Rajasthan, India. While with Seva Mandir, Bhasin worked directly with the rural poor (men & women) to organize agricultural, economic and educational activities for their empowerment. The main emphasis of her work was on mobilising people for their own development. During these four years, Bhasin also wrote extensively on rural realities and the impact of development programmes and policies on the rural poor for newspapers. From 1975, Bhasin worked with FAO of the United Nations for 27 years. 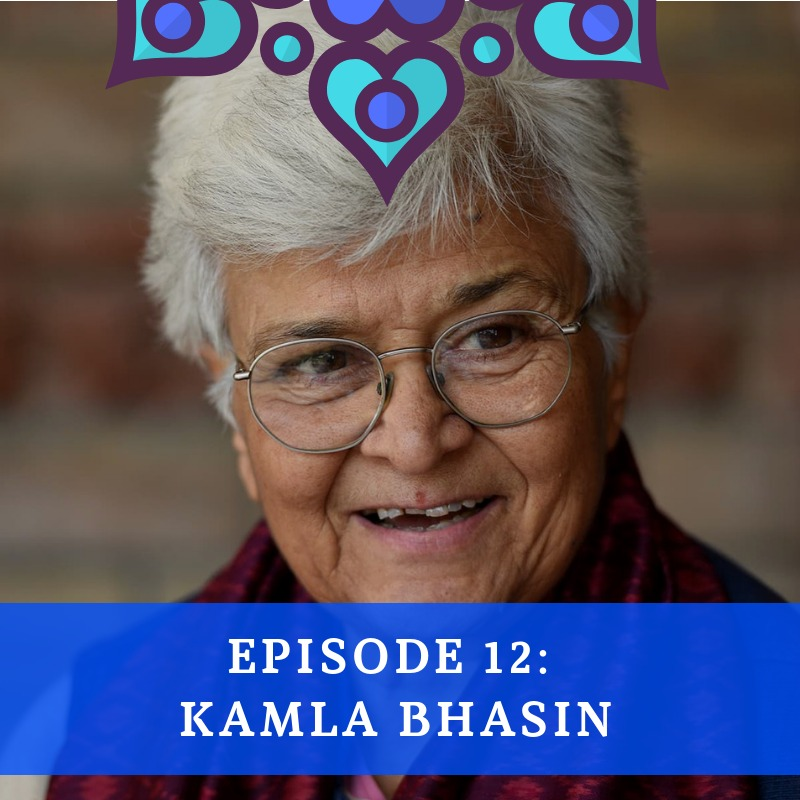 Currently, Bhasin works with Sangat - A Feminist Network; with JAGORI, Women’s Resource and Training Centre and Jagori Rural Charitable Trust as an active member; and with South Asians for Human Rights (SAHR) as a member. She is also the co-chair of the worldwide network Peace Women across the Globe and the South Asia Coordinator of the global One Billion Rising campaign to end violence against women and girls. 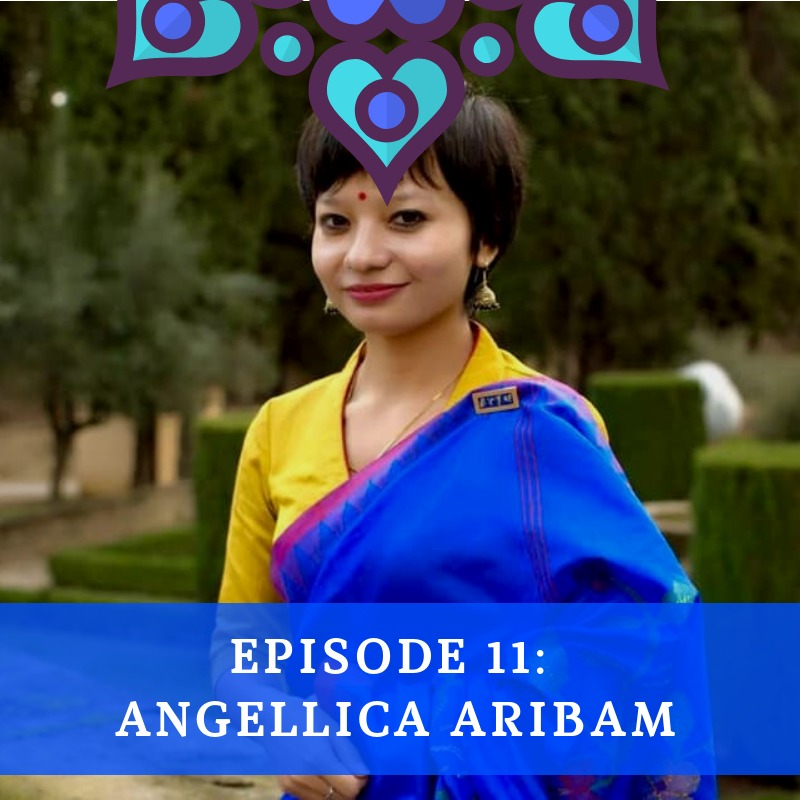 In this episode, Kirthi and Vaishnavi chat with Angellica Aribam. Angellica is a political activist and a fourth wave feminist. For more than half a decade, Angellica has been working on issues of race, gender, student welfare and the democratization of politics. Hailing from Manipur, in the ethnically and economically marginalized northeastern region of India, she was motivated to get involved in politics by experiencing injustice and discrimination firsthand, realizing that politics was the best way to change this status quo. She was the first student from the northeastern region of India to be elected in the Delhi University Executive Committee, India's prominent student body, and she was named one of Forbes India's “30 Under 30” in 2017. She is also a former National General Secretary of the National Students’ Union of India, the students' wing of the Indian National Congress. With a Bachelors degree in Biochemistry from University of Delhi and a Master’s degree in Public Policy from Peking University, China, Angellica is on a quest for learning. As a staunch advocate for gender and racial rights, she regularly writes for various Indian publications including The Indian Express, The Wire, DailyO amongst others. In her spare time, she loves to read, cook, and model. 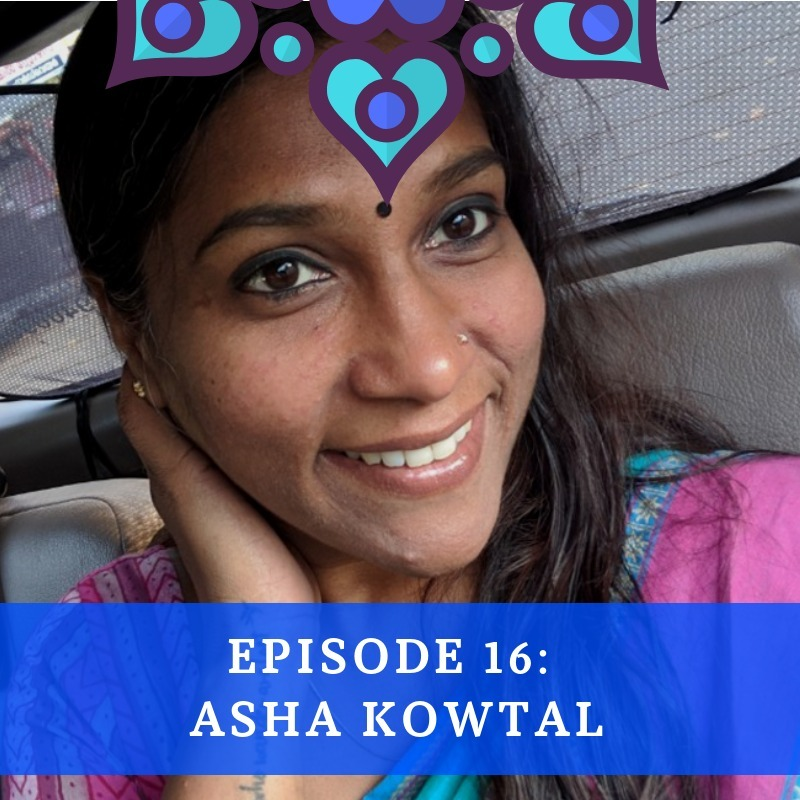 In this episode, Vaishnavi and Kirthi talk to Anam Zakaria. Anam is a researcher, development professional and educationist with a special interest in oral histories and identity politics. She has also studied psychotherapy and has a particular interest in trauma and healing in conflict zones. Her first book, The Footprints of Partition: Narratives of Four Generations of Pakistanis and Indians (HarperCollins Publishers 2015), won the KLF-German Peace Prize 2017. Between the Great Divide: A Journey into Pakistan-administered Kashmir (HarperCollinsPublishers 2018) is her second book. 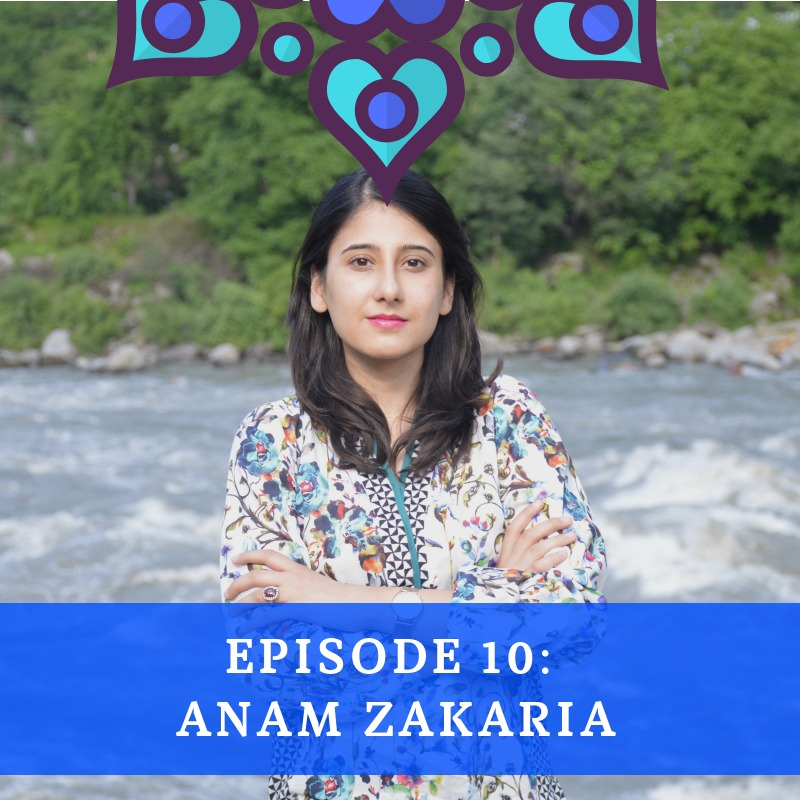 Anam grew up in Lahore and is currently based in Islamabad. 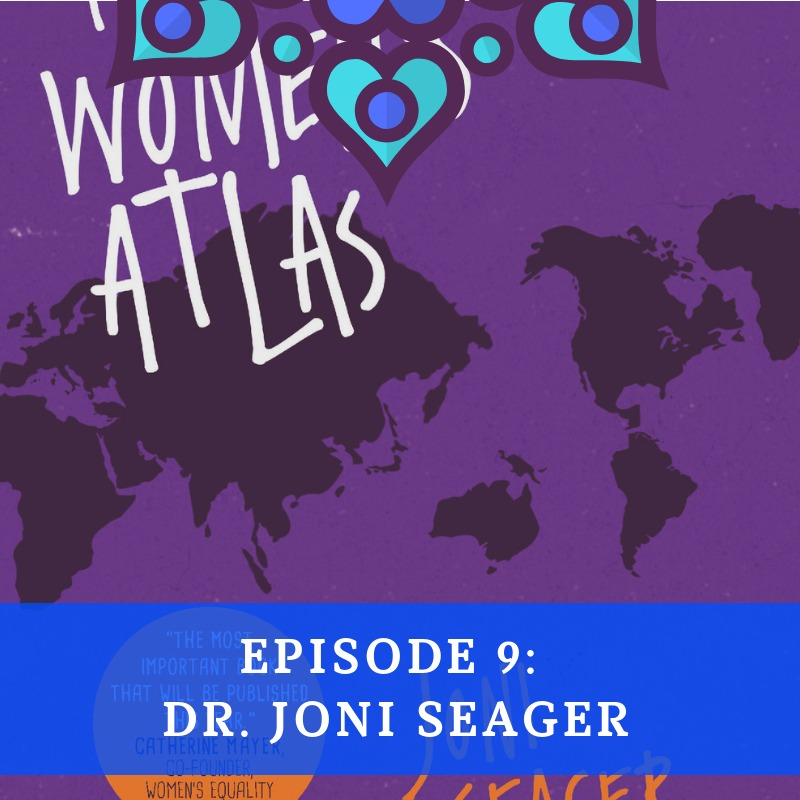 In this episode, Vaishnavi interviews Dr Joni Seager. Joni is a Professor of Global Studies at Bentley University. She is a feminist geographer and global policy expert. Her atlas on the status of women, just released in its fifth edition, is an award-winning classic. Using maps and graphics, The Women's Atlas reveals how women live their lives across cultures and countries. Professor Seager has achieved international acclaim for her work in feminist environmental policy analysis, the environmental costs of militaries and militarism, and gender and climate change.Seager is the author of many books, including five editions of the award-winning feminist classic The Women’s Atlas, two editions of The State of the Environment Atlas, and Earth Follies: Coming to Feminist Terms With the Global Environmental Crisis. She has been an active consultant with the United Nations on several gender and environmental policy projects, including consulting with the United Nations Environmental Programme on integrating gender perspectives into their work on disasters and early warning systems, and with UNESCO and the Division on Economic and Social Affairs on gender in water policy. 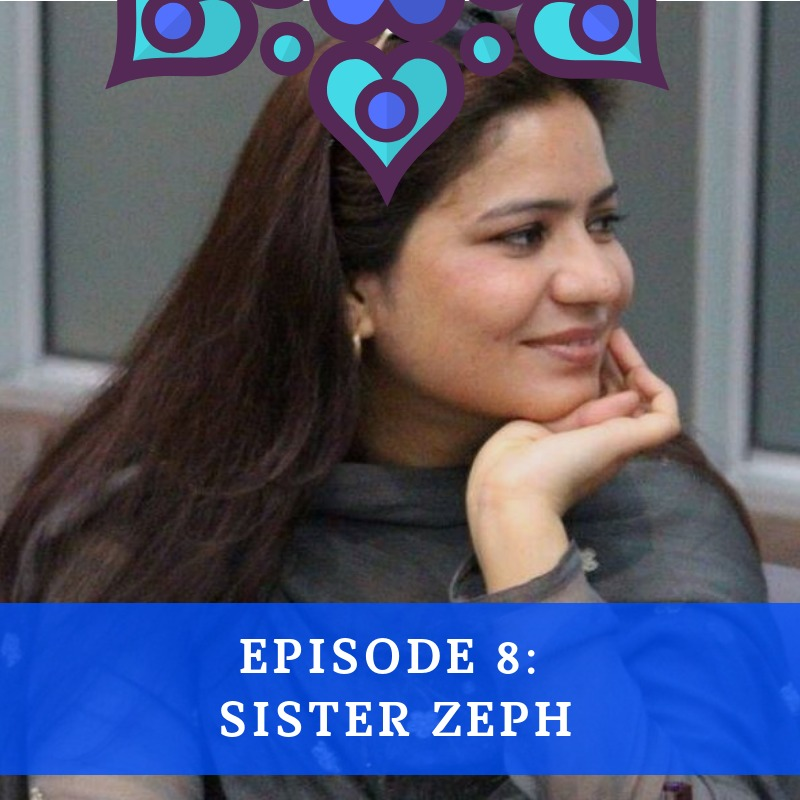 In this episode Kirthi and Vaishnavi talk to Sister Zeph, a Pakistani teacher, women's activist and philanthropist from Gujranwala, Pakistan. She was a leader at school and had plans of becoming a lawyer. When she was thirteen her first article on Women's Rights appeared in Pakistan's leading newspaper the Daily Jang. She left school when in grade seven and taught herself at home, finally passing the tenth grade Board examination. It was around this time that she started teaching other girls. She distributed flyers among her neighbours announcing free education for girls. The girls initially studied in rented, open roof houses with Sister Zeph's financial support. Using self study she completed a master's degree in Political science in 2010, and a master's degree History in 2013. By 2016, her organization had taught over 500 girls and empowered 100 more. 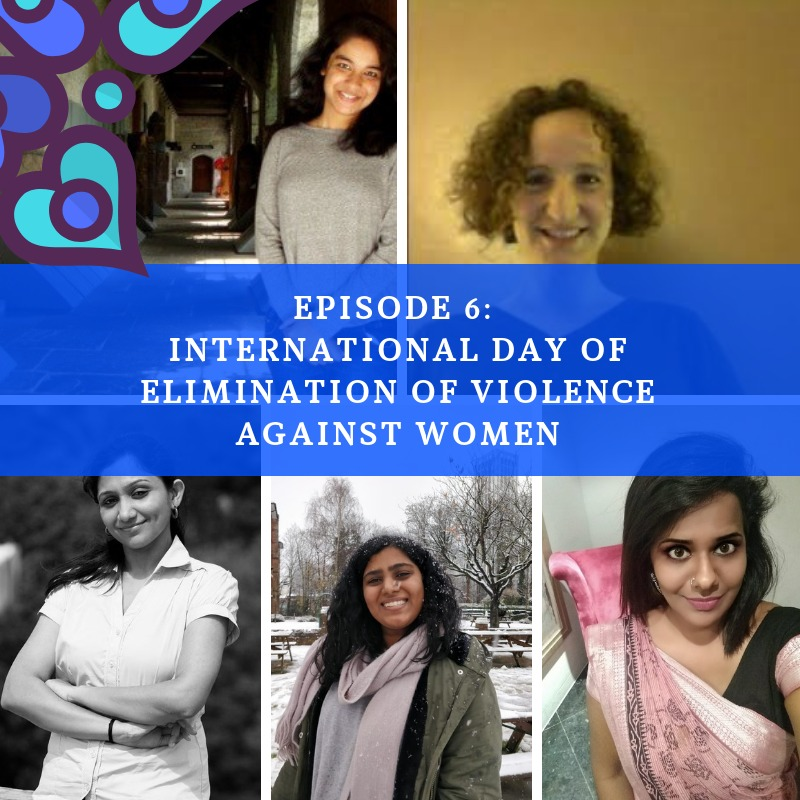 On the International Day of Elimination of Violence against Women, Kirthi and Vaishnavi curate five powerful women's speeches: Esha Meher, Lea Gabay, Malavika Mani, Sharda Vishwanathan, and Srilakshmi Indrasenan, with a small clip from a herstoric speech by Hillary Clinton where she said "Women's Rights are Human Rights." 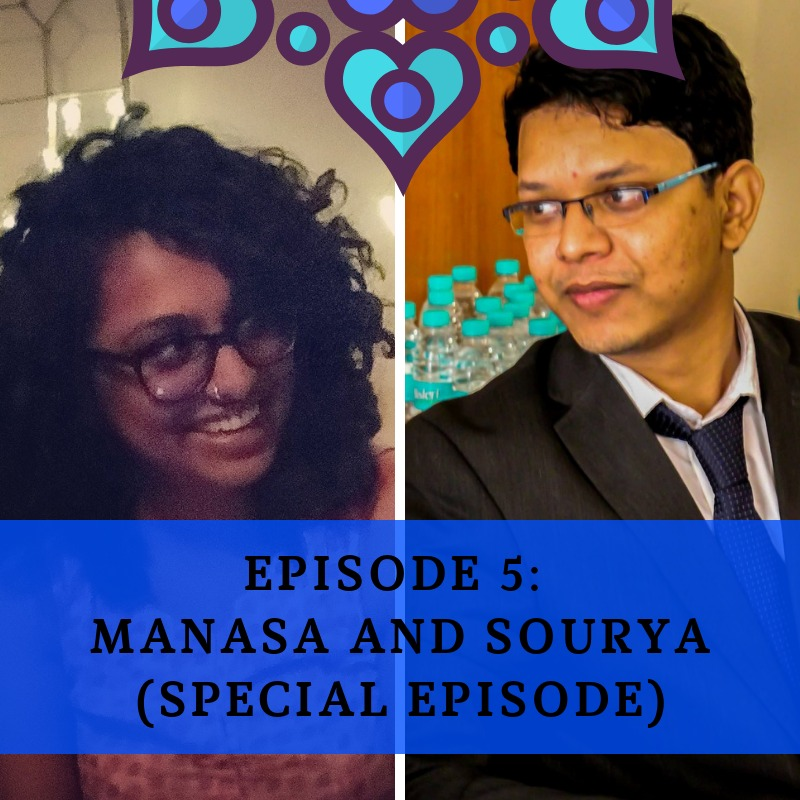 In this episode, Kirthi talks to Manasa Ram Raj and Sourya Banerjee, two young lawyers who talk about the law relating to workplace sexual harassment in India. In this episode, Kirthi speaks to Rabia Nasimi. Rabia, now 24 years old, arrived in the UK in 1999, on the back of a refrigerated lorry, aged just five-years-old. Rabia's family were forced to flee Afghanistan after her father, an academic, had become a target under the Taliban's destructive rule. 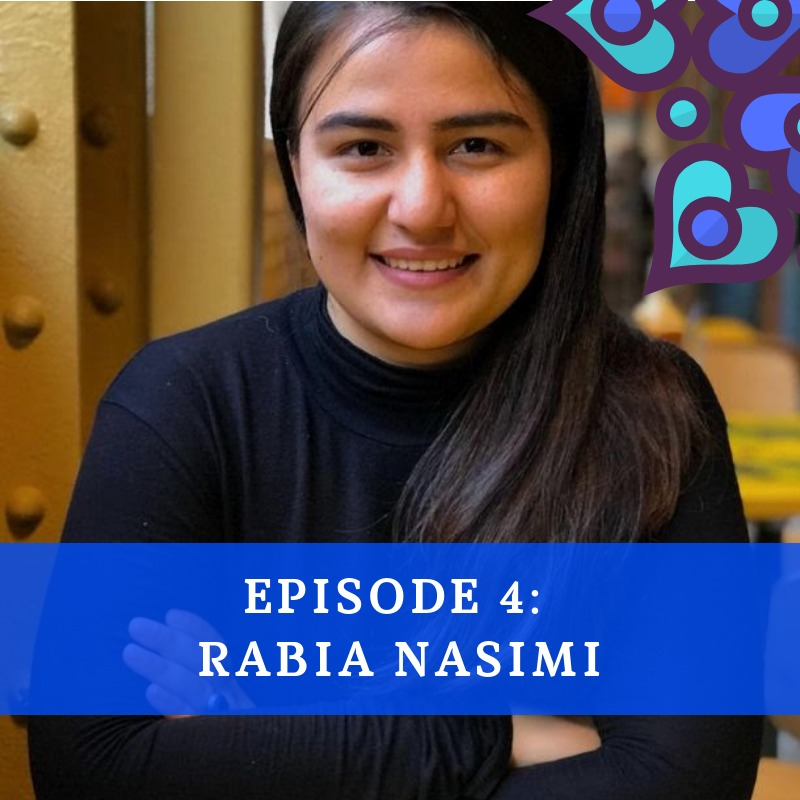 Now, Rabia is studying for a PhD at Cambridge University. Alongside this, she supports the education of other refugees in the UK through her award-winning work for the Afghanistan and Central Asian Association (ACAA). She recently won a We Are the City 'Rising Star' award. 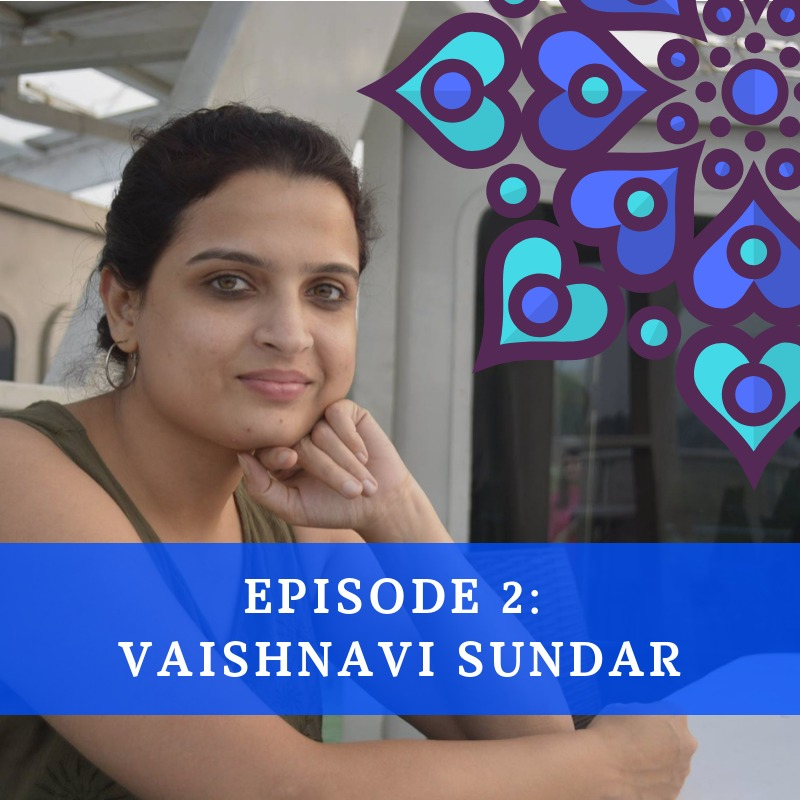 In this episode, we speak to Vaishnavi Sundar. Vaishnavi is an independent filmmaker, speaker, writer and activist from Chennai who has worked in theatre and films for the past 7 years in various capacities. She is known for her work in the field of cinema and activism involving an interplay of feminism and filmmaking. Having written, directed, and produced all films under her production company, Lime Soda Films, she has completed India's first feature-length documentary on workplace sexual harassment titled, But what was she wearing? 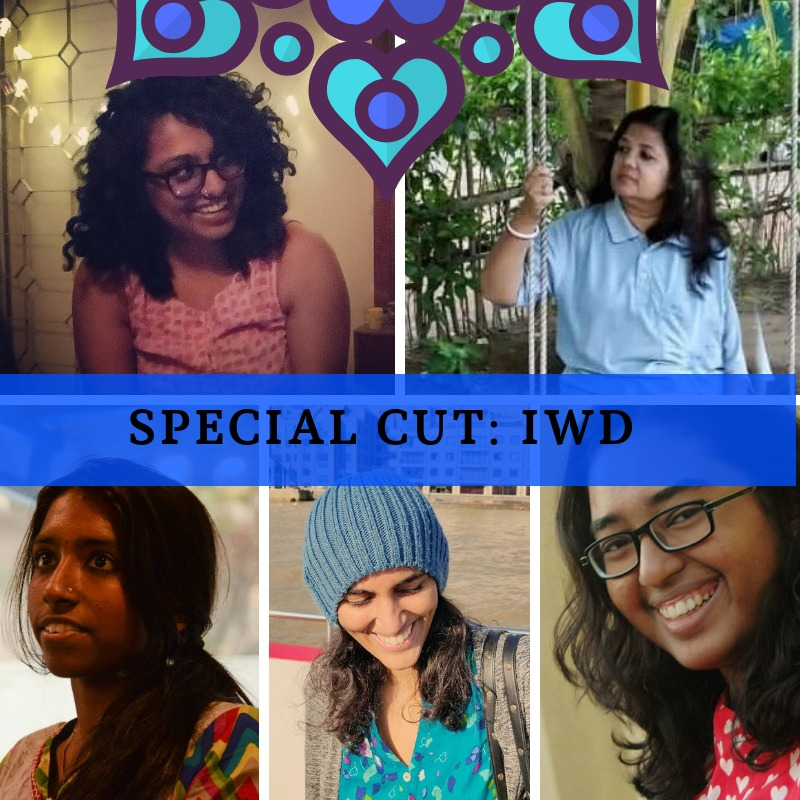 To help female filmmakers worldwide connect, collaborate and create works in the audio-visual medium, Vaishnavi founded Women Making Films, a global community known for its effort to break the glass ceiling within the realms of domestic and world cinema. 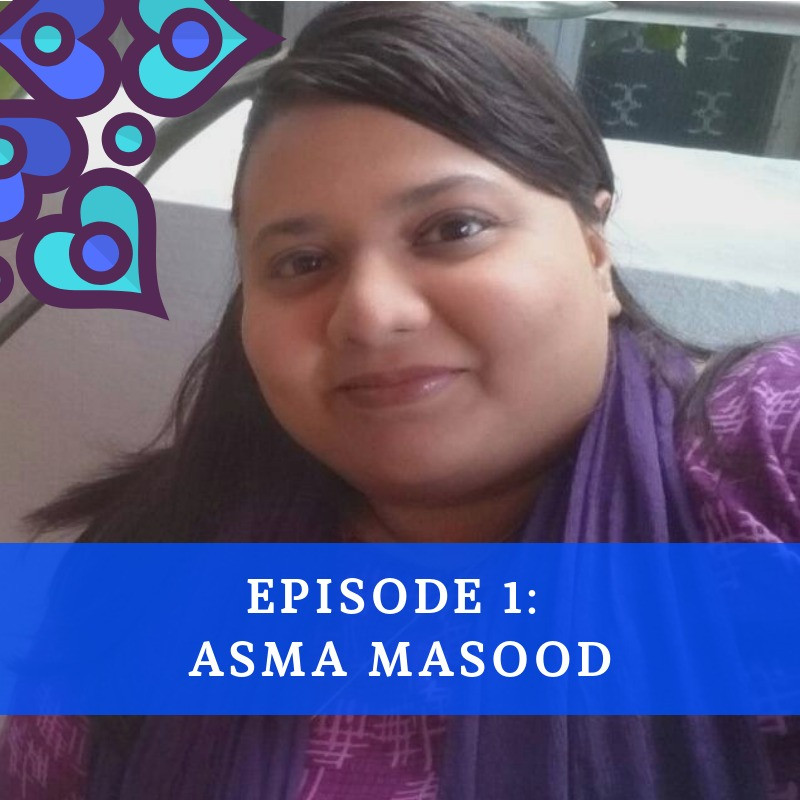 In our first episode, Vaishnavi speaks to Asma Masood, the Research Officer, Chennai Centre for China Studies (C3S). She is Founding Member and President of ‘Young Minds of C3S’. She has worked as an Independent Researcher on International Relations in the Asia-Pacific and interned at the Institute for Peace and Conflict Studies, New Delhi. She has an M.A. in International Studies, Stella Maris College, Chennai. Her areas of interest are China’s foreign policy and Dynamics of Soft Power. Her article on the Rohingya crisis was republished as an essay in the edited volume Genocide & Persecution: Burma, Greenhaven Press, U.S.A, 2015. Her chapter on ‘People-people contacts: For peace, progress & harmony in the region’ was published in the book Indo-ASEAN Trade & Investment: Historical and Contemporary Perspective, Institute of Objective Studies, Delhi, 2017. Her articles have appeared in IPCS, Foreign Policy Journal, C3S, Red Elephant Foundation, The Hindu, Mizzima Weekly and Myanmar Business Today. 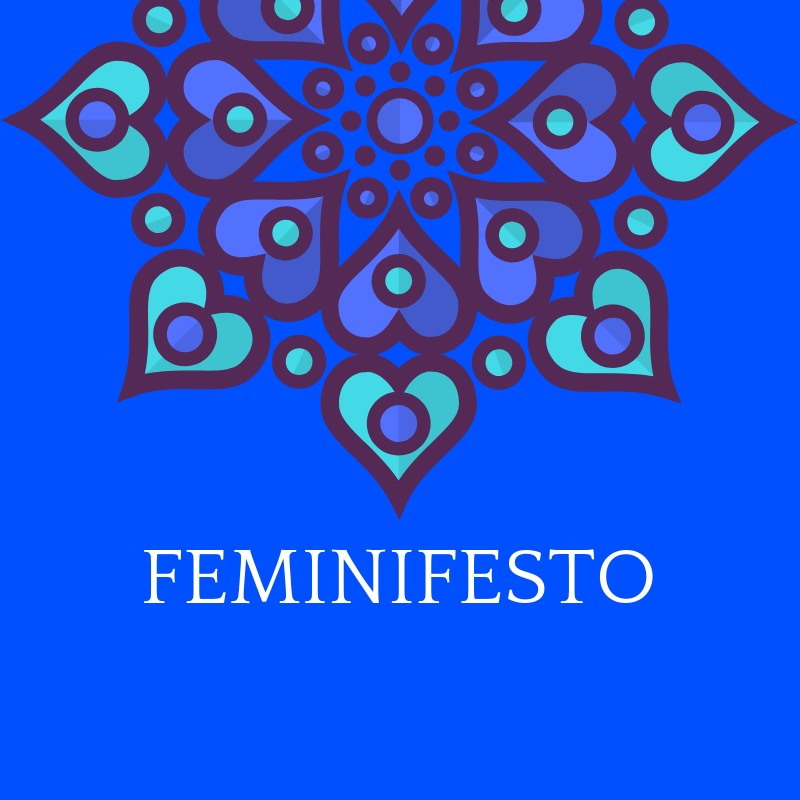 Welcome to Episode 0 of The Feminifesto Podcast: A podcast that chronicles women's voices and narratives in the domains of International Relations, Peacebuilding and Politics.